Acute compartment syndrome is a serious condition that can develop after a severe injury. A person usually becomes aware of the condition when the pain, aches and swelling from an injury persists at an unbearable level. The only treatment option available for this life-threatening condition is surgery. It must be performed, or the condition could lead to amputations, infections and even death. Acute compartment syndrome may arise from an injury caused by an automobile crash, slip and fall or other type of accident. As the original wound attempts to heal, pressure builds up in the surrounding area which restricts blood flow. The condition can lead to tissue damage, muscle damage and a loss of functioning in certain areas of the body. Untreated, this condition will wreak havoc on your body and mind. Extreme pain is very common, and a doctor’s failure to diagnose can lead to amputated body parts. The condition is considered a medical emergency. Failing to get surgery right away may cause permanent damage. 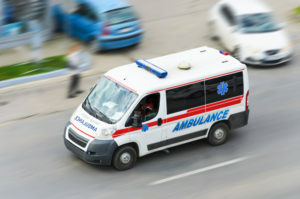 If you were injured due to your doctor’s failure to diagnose compartment syndrome, then you can pursue compensation in a medical malpractice claim. Medical bills arising from acute compartment syndrome can be crippling. If your condition was caused or made worse by the negligence of another party, then you may be eligible to seek compensation in court. The experienced personal injury attorneys at Matzus Law understand how this condition can lead to severe physical distress, emotional pain and stress dealing with a medical malpractice claim. Let us help you obtain financial relief. Simply fill out our contact form and briefly describe your issue to hear from one of our attorneys about your case.